There are two main types of inks: Pigment inks and Dye inks. Pigment inks have a telling name – they contain pigments. 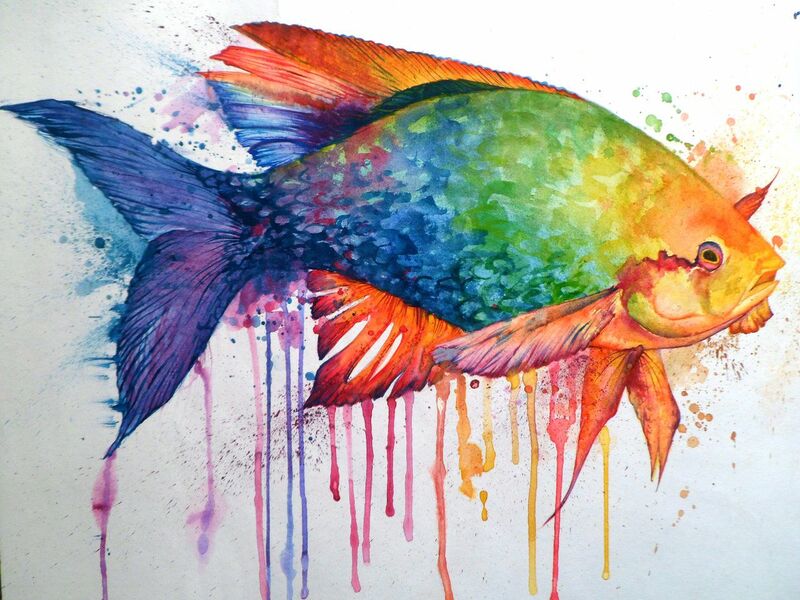 (Indeed, pigments don’t mix with water, therefore this type of ink will be water resistant once dried.) Since pigment particles make a stronger bond, pigment inks will not fade so quickly, and last for a longer time. At the same time, it’s said that they’re harder to work with and the colours aren’t that bright. Dye inks compared to Pigment inks are less permanent, as they remain water soluble even after they dried. While some people prefer them for they have more bright colours, however, they tend to fast easier as well. 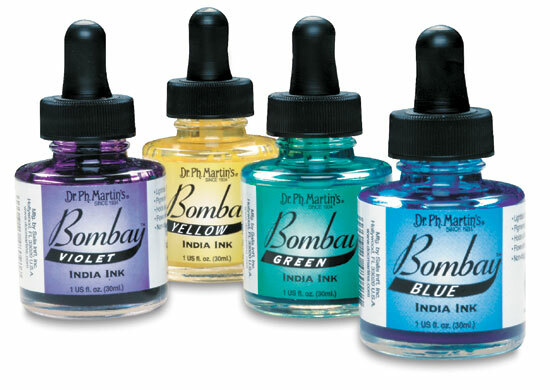 The Bombay India Ink range has 24 vibrant colours (all transparent except black and white which have excellent coverage) - what's good to know about this brand is that the inks are very pigmented and lightfast, and also waterproof. This type of ink comes in 56 different colours, however, due to the quality of the dye, it's not very lightfast. It can be used mixed with acrylic paint, or as a fabric dye (with added salt for fixative.) These inks don't contain shellac like other type of India Inks. 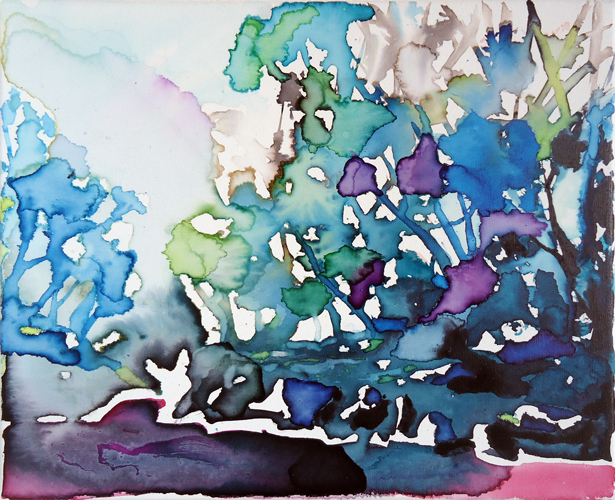 Ecoline is a liquid watercolour paint, but at the same time very similar to inks. The brand has many colours (46 transparent and 2 opaque) which are also available in pen form (and the two can be mixed!) They are not waterproof, thus you can keep on working on the image even after it’s dry. 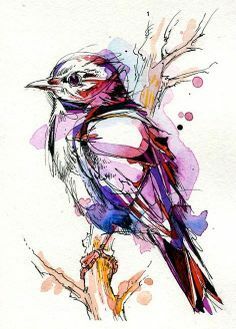 Inks probably work the best with soft brushes like watercolour brushes, but you can experiment with technical pens, fountain pens, calligraphy pens or airbrush as well. 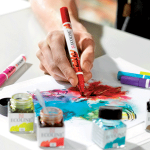 Inks, unlike watercolours, can be used on non/absorbent surfaces like cartridge paper, but it's good to keep in mind that the more water you add, the chance of paper buckling grows, therefore it's better to stretch your paper first. This entry was posted in Blog Home, Pen & Ink and tagged watercolour, inks, India ink, Ecoline, Dr.Ph.Martins on October 25, 2017 by Zsofia Jakab. 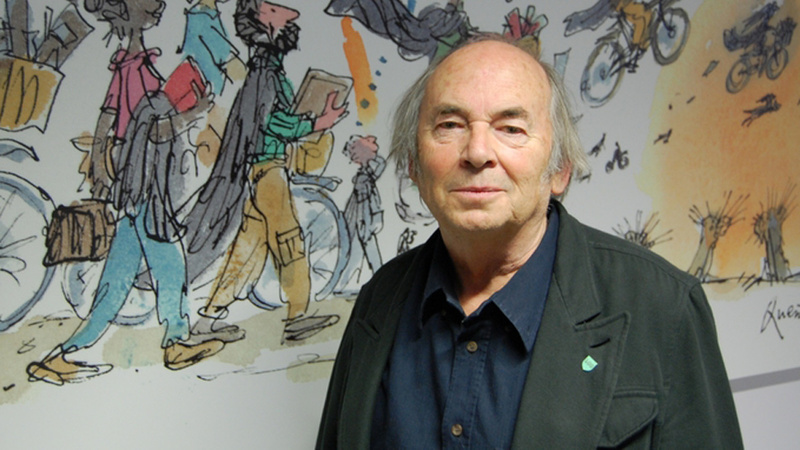 Sir Quentin Saxby Blake CBE, FCSD, FRSL, RDI is one of Britain’s most successful children’s authors, illustrators and cartoonists. He was born on the 16th December 1932 in Sidcup in Kent. During the Second World War, he was evacuated to the West Country. He attended Holy Trinity Lamorbey Church of England Primary School and Chiselhurst and Sidcup Grammar School, where his English teacher, J.H. Walsh inspired his love of literature. He studied English Literature at Downing College, Cambridge from 1953 to 1956. He has denied that studying at Cambridge University contributed to his artistic or creative talent. After his national service, he received his postgraduate diploma in teaching from the University of London. Later he studied part-time at the Chelsea School of Art and then at Camberwell College of Art. He received his teaching diploma from the Institute of Education. Blake taught English at the Lycee Francais de Londres in the 1960s, building on his strong links with France and culminating with him being awarded the Insignia of Chevalier de la Legion d’honneur at a ceremony at the Institut Francais in London, in March 2014. 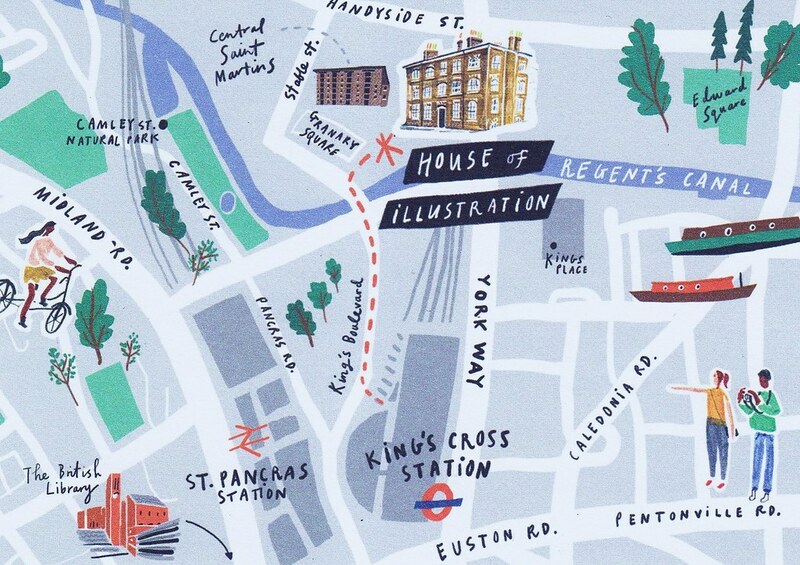 He also taught at the Royal College of Art for more than twenty years and was head of illustration from 1978 to 1986. 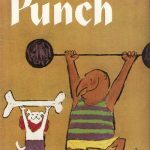 He has gone on to illustrate more than three hundred books, with authors including Michael Rosen, John Yeoman, Joan Aiken and Dr. Seuss and illustrated the first Seuss book that Seuss did not illustrate himself – ‘Great Day For Up!’ in 1974. 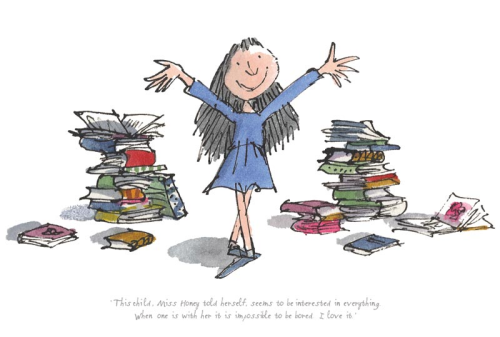 Over many years he worked with Roald Dahl on some of his most well known and loved books, his illustrations capturing the essence of The BFG, Mathilda and Willie Wonka. 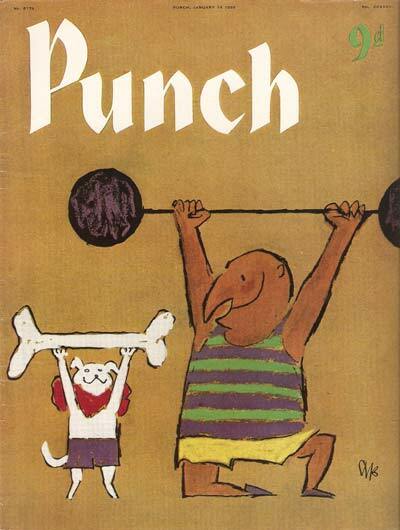 He also illustrated and wrote a number of quirky books himself including Mister Magnolia, Zagazoo and Lovelykins. Blake met Dahl and began working with him in 1975 after a meeting set up by their publisher. 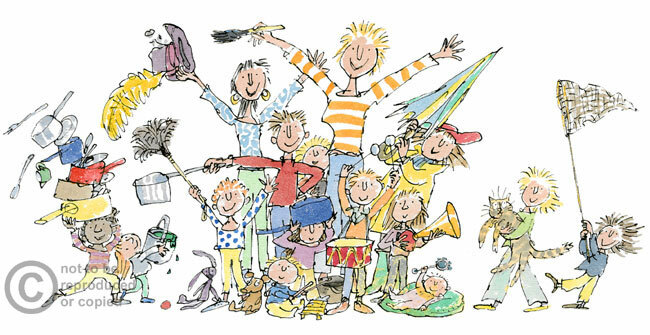 Dahl had already published some of his most famous works including James and the Giant Peach, Fantastic Mr. Fox and Charlie and the Chocolate Factory. “Initially I was rather apprehensive because he was a big chap and very famous, but it was a relationship that worked” said Blake.” “Because I had established myself as an illustrator, I had something to bring to it." In the 1970s Blake presented more than one hundred and fifty episodes of the BBC children’s storytelling television show, Jackanory, where he would illustrate the stories as he was telling them. 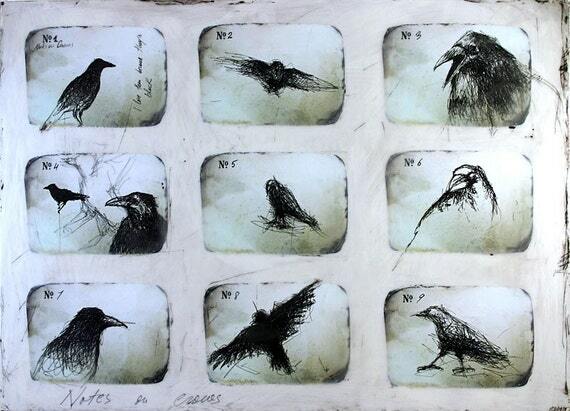 In 1993, Blake designed that year’s Christmas postage stamps, based on Charles Dickens’ novel, A Christmas Carol. He is a member of the Chelsea Arts Club, patron of the Blake Society – Downing College’s arts and humanities society and patron of The Big Draw, a registered UK charity aiming to get everyone drawing and demonstrating that drawing is a life skill, an essential tool for thinking, inventing and communicating. Included in his accolades are the J.M. Barrie Lifetime Achievement Award, which he received in 2008, the Hans Christian Andersen Award for Illustration from the International Board on Books for Young People for his services to children’s literature, while he was Children’s Laureate and an honorary degree from the Anglia Ruskin University in Cambridge. In 1988, Blake was given an OBE, in 2014 a CBE and in 2013 he received a knighthood at Buckingham Palace for his services to illustration. As well as illustrating books, Blake also works with hospitals and mental health units, decorating buildings with his drawings. “It’s a different kind of brief, a different kind of audience. A lot of pictures I do in hospitals are to cheer up gaunt surroundings” he said. 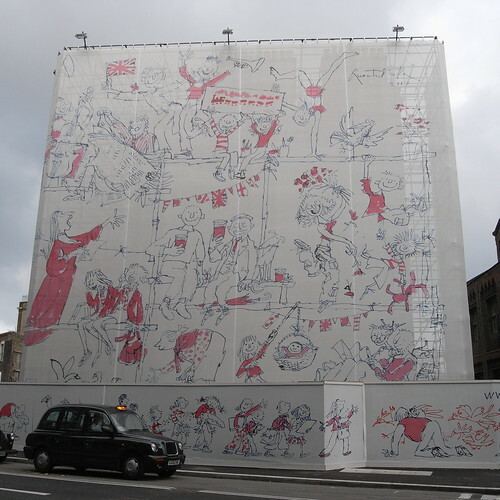 In 2007 he designed a huge mural on fabric. It was suspended over a dilapidated building directly opposite the entrance to St. Pancras station in London. The painting of an imaginary welcoming committee greets passengers arriving on the Eurostar high-speed railway. 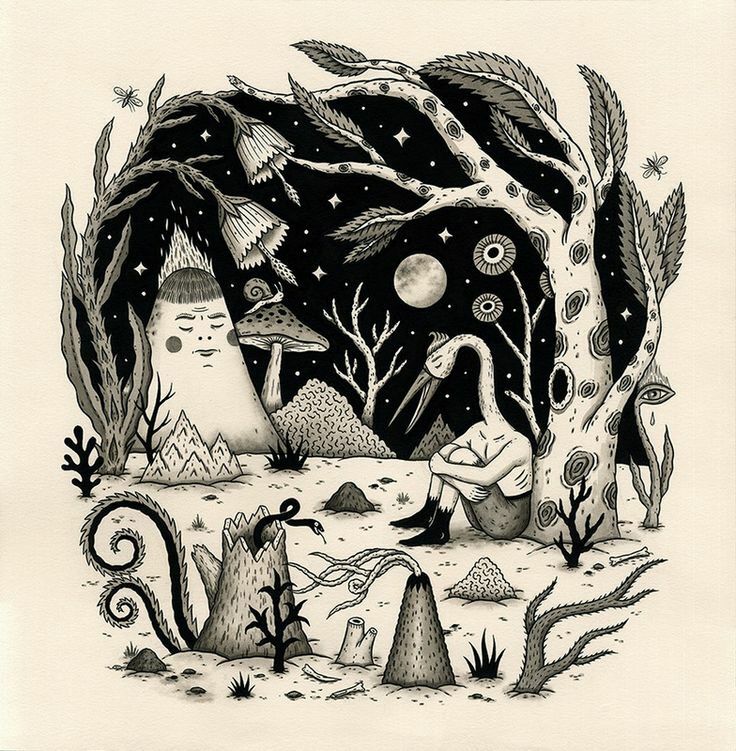 Blake also negotiated the House of Illustration project aimed at opening a gallery dedicated to illustration. The gallery was opened in 2014 near to King’s Cross in London. 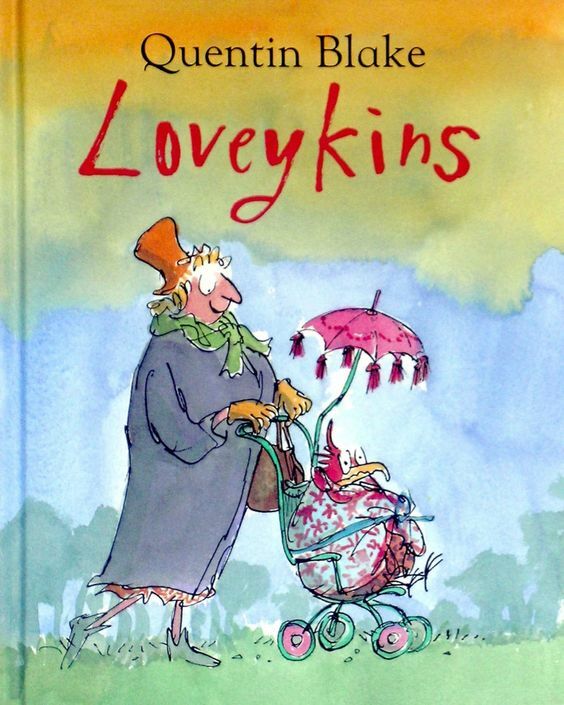 This entry was posted in Blog Home, Articles and tagged illustration, history, Quentin Blake, roald dahl on October 25, 2017 by Steven Peebles. A painting method that shows you, eggs are not only for breakfast! Tempera paint seems to be one of the most common paints that we're introduced to from the very beginnings. Can you imagine it has been around since the first century AD? Many examples of the use of tempera include the Fayum Mummy portraits, and other Egyptian sarcophagi decoration, Orthodox icon painting, early medieval paintings in temples in India, and even Michelangelo had egg tempera paintings. Tempera was the primary painting medium up until the 1500s, when the appearing oil paint replaced it. There were some occasional revivals of tempera paintings, for instance in the 19th/20th century by the Pre-raphaelite Brotherhood. The next step is to prepare the egg yolk medium which consists of egg yolk and distilled water. In order to make it, you'll need to separate the egg yolk from the white, You might want to carefully dry it with a paper towel to remove all the white. Then, take the yolk and pierce the sack under a jar. Discard the sack, and if you find any impurities in the yolk, strain the liquid. If needed, mix it with a bit of distilled water, and it's ready for painting. Keep the medium tightly sealed and refrigerated up until two days. This entry was posted in Blog Home and tagged painting, painting techniques, tempera, egg tempera on October 6, 2017 by Zsofia Jakab. 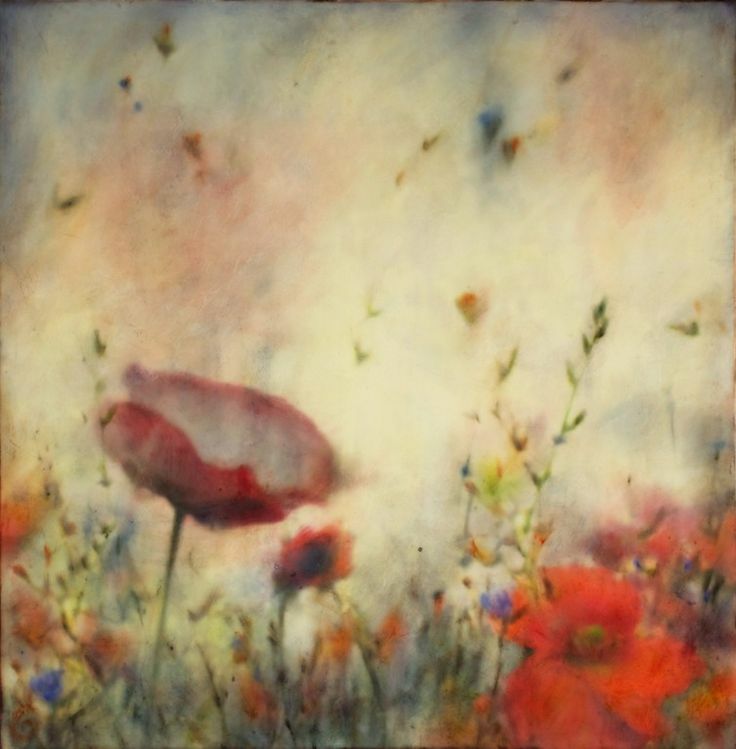 The name Encaustic comes from the Greek word enkaustikos, meaning "to heat or burn in". This name is quite telling, as the technique is to paint with layers of melted wax. The medium is made out of natural beeswax, dammar resin and optionally pigments for colours. The idea is to use the paint, layers of paper, dried plants, etc between each layer of wax, and to continuously fuse them together with reheating it. Encaustic painting dates back to ancient times as it was used by the Greeks to decorate war ships. 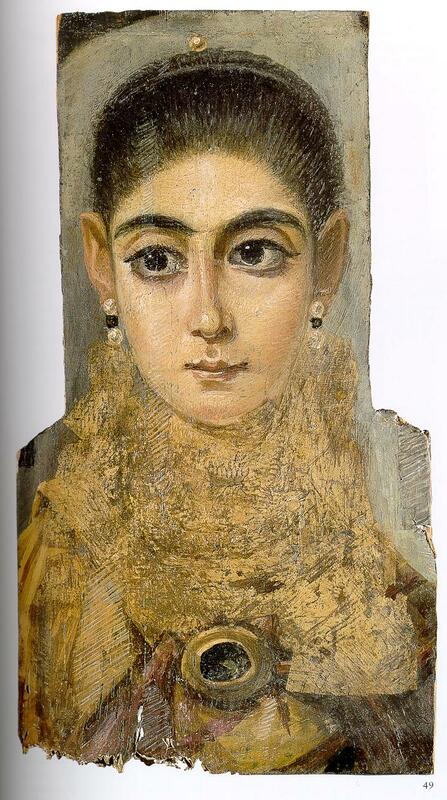 The same technique was used to decorate Egyptian tombs and sarcophagi : the most famous being the Fayum funeral portraits. Since it was a rather difficult technique without portable wax melting tools, the popularity of Encaustic painting decreased for centuries before its late revival in the 20th century. The technique was picked up by painter Fritz Faiss (1905 - 1981), student of abstract expressionist Paul Klee and Wassily Kandinsky. Brush the first layer of wax onto the surface, and then start layering, as the work is made with multiple thin layers of wax. Keep both the brushes and the wax warm throughout. You can also add different collage materials like pictures or dried flowers, but keep in mind that the first layer will be less visible. 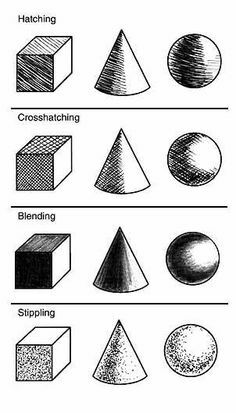 Add texture to the 'painting' with scratching and scraping! Encaustic allows you to work on 2D images with a sculptural touch. Use a thermometer to monitor the temperature of the wax. Use a porous surface like wood, paper or clay. Don't be afraid to hang your finished work, as it won't melt in the sun, however, it's not advised to put it directly in the sun, especially in warmer climates. They're also sensitive to freezing cold temperatures, but otherwise wax makes the work archival so they will last for a very long time. This entry was posted in Blog Home and tagged painting, Encaustic, wax on October 6, 2017 by Zsofia Jakab.